After a year of its launch in overseas markets, the A5 Sportback finally makes it to India with a price tag of Rs 54.02 lakh (exh-showroom, Delhi). It is based on the VW Group’s MLB Platform and gets its engine positioned longitudinally. The A5 Sportback is an absolute looker as it is low, wide and lithe. The flowing roof that connects to the rear is quite a sight to behold. 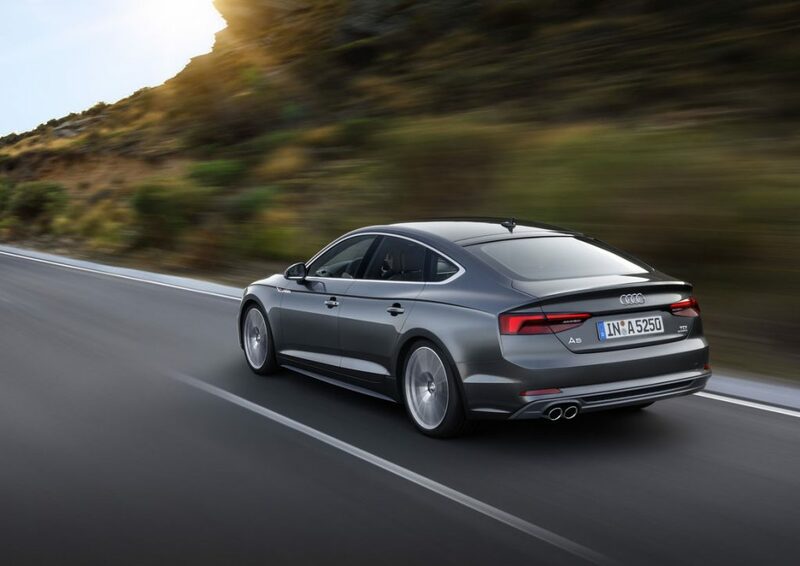 Smoothly curved surfaces with mild creasing give the A5 Sportback give it a sporty stance. Our favourite bit being the frameless door of of course. ‘Cut-outs’ in the tail lamp design and sleek headlamps really make this Audi stand out from the rest. Powering the A5 is 190hp 2.0-litre TDI unit churns out 400Nm of torque. Power is sent to the front wheels via a 7-speed dual-clutch transmission. Acceleration from 0-100 comes in 7.9 seconds. However, the S5 – its 3.0-litre turbo V6 sibling – makes 354hp and does the 0-100 sprint in just 4.7 seconds. Inside the cabin, it boasts of new sporty three-spoke steering, a MMI Touch Infotainment system, the Virtual Cockpit digital instrument cluster, Audi’s smartphone integration suite with Apple CarPlay and Android Auto as additional options, a 755W Bang and Olufsen sound system, black wood trim on the insides and of course, a sunroof among other things. Thanks to the low roof however, ingress and egress for rear passengers can be a bit bothersome, but once in, there’s good legroom. Boot space at 480 litres is as good as it gets. The A5 will be bought mostly for its looks, and although it costs a fair bit more than its rivals, it surely looks worth every extra penny!